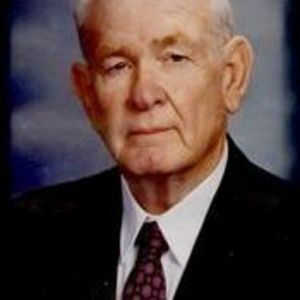 Robert H. (Bob) Applegate age 82 years, a longtime resident of Wilkinson passed away peacefully surrounded by his loving wife and children on Monday, October 1, 2012. Thinking of you. I have been reliving the last 57 years and there are certainly a lot of wonderful memories. Please know I am there in spirit and will see you in a couple of weeks. Love to Carol, Debbie, Doug, Diane and Donna Kay and the rest of the Applegate family. Bob will certainly be missed, but will definately be remembered. My deepest condolences to Donna and family. May your Daddy RIP. If there could have been a Mayor and First Lady of Wilkinson it would have been Bob and Carol. They did so much for the community. I also remember them at the ballgames sitting a few rows from the floor in the middle section and Bob rather vocally making sure the refs were doing their jobs correctly. He will be trully missed. My thoughts and prayers are with all of you!! May God Bless you all. Thinking of you Diane...as I often have. Your dad was an amazing man and I felt like I knew him through you. Great man with lots of great stories. The fire dept would not be what it is today without Bob and his influence. A true Wilkinson legend. My thoughts and prayers are with all of you. I don't have to tell you what a great man he was. Hold onto those wonderful memories.